Altenew | Thank You for Being so Sweet! I seem to be in an ice cream mood lately. Could it be because I long for hot and sunny weather? Probably, I love sunshine and really dislike cold (I do love snow though). 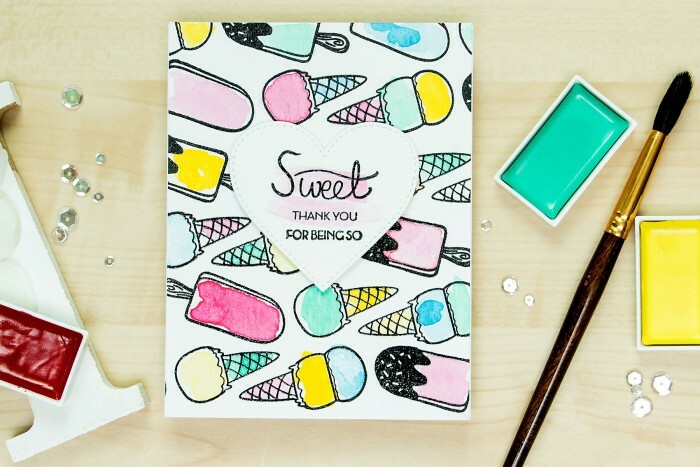 Anyhow, I’m sharing a quick watercolored Thank You for Being so Sweet card on Altenew blog today using a stamp set designed by my talented friend May Park. 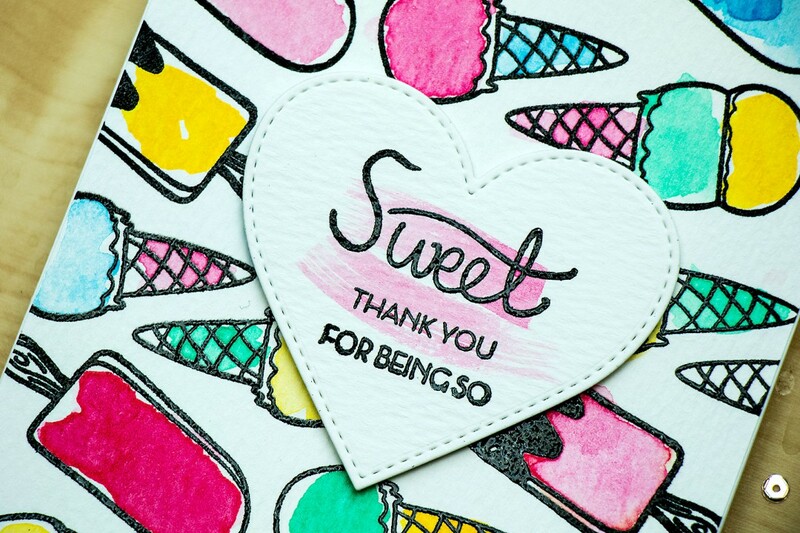 I used a variety of ice cream images from the Way Too Sweet set to create a sweet background for this card. I used Versafine Onyx Black ink to first stamp the images and than covered them with clear embossing powder and heat set. I don’t like using black embossing powder as no matter how well I prep the paper I always get little black bits everywhere. 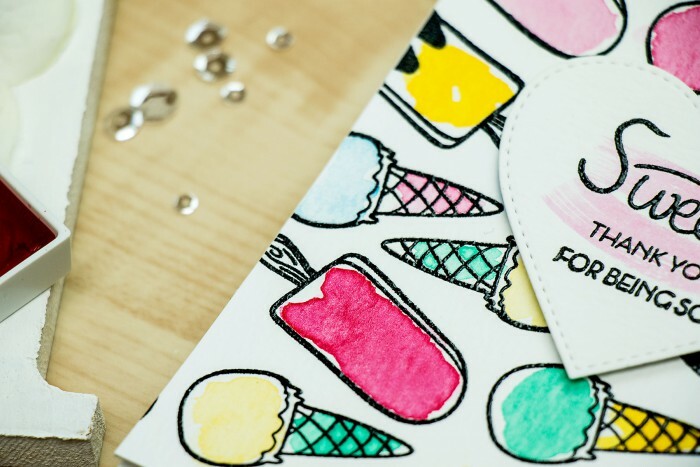 I used my Gansai Tambi Watercolors to quickly color my ice cream. I wanted a very messy look here so I only used one or two strokes to color each image. Love how it turned out! The sentiment was created by combining two messages; I had to do some stamp surgery, but I am loving the end result! I placed onto a die cut heart and also added some watercolor highlights. 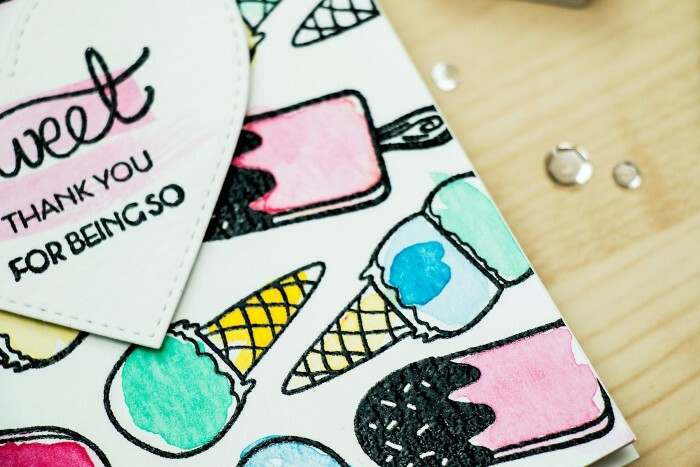 Very beautiful and yummy card!